This page shows our previous newsletters. If you don't receive them yet, you can register below to get them straight in your mailbox. Two major events marked last week: Rosetta landed on 67P comet and basic income entered the Swiss Parliament! National Council's Social Affairs Commission (SGK-N in German) started studying our initiative. And by Christmas Holidays, the first edition of the francophone magazine "L'inconditionnel", entirely dedicated to basic income, will be available everywhere in French speaking Switzerland too. After the signature collection, the work continues… The campaign is challenging, but we have our resources: creativity, collective intelligence and collaboration are in full swing. Génération RBI, Romandie, is an active group favoring Basic Income, and will soon launch a dedicated website in a campaign to be remembered. You are invited to meet them on the afternoon of BIEN-CH General Assembly and join in on the fun! Everybody's talking about the swiss initiative! Last october 4th, we have submitted 126'000 signatures in Berne. 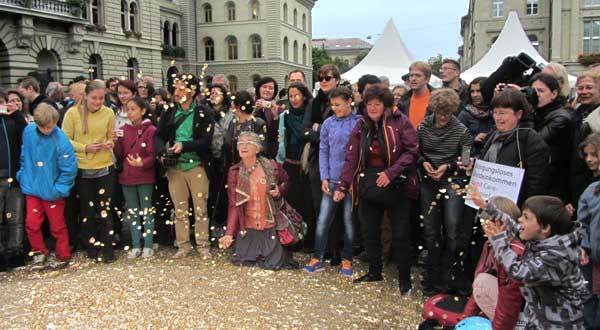 To symbolize a basic income granted to every citizen in our country, 8 million pieces were poured before Berne's Federal Palace. That event is still debated in media all around the world, which still can't believe that in our country people has the power to decide whether each of his citizens deserves an unconditional basic income, high enough to live with. The initiative was formally accepted! 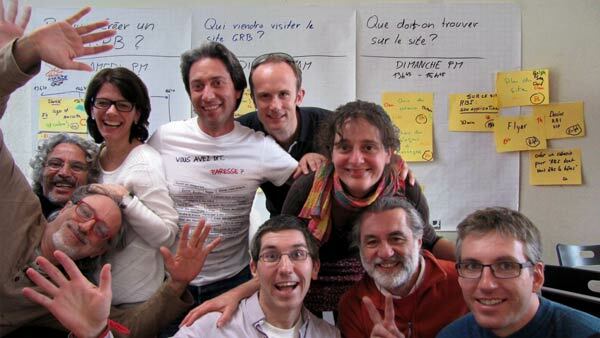 Success for the European Citizens' Initiative: 15'000€ in 2 days! A basic income even in United States?